BREEDERS TRUST S.A. – Breeders Trust S.A. 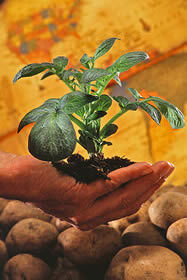 BREEDERS TRUST is an organisation of ten potato breeding companies from Germany, the Netherlands, France and Denmark. It concerns AGRICO, DANESPO, EUROPLANT, GERMICOPA, HZPC, INTERSEED, MEIJER, NORIKA, SOLANA and STET. These companies are active in breeding and developing new potato varieties. BREEDERS TRUST has started its activities in 2008. 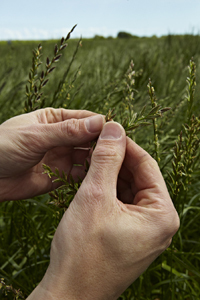 In 2011, six grass seed breeding companies have joined BREEDERS TRUST. It concerns: BARENBRUG, DLF, DSV, GERMINAL, RAGT and SAATZUCHT STEINACH. These companies are active in breeding, producing and trading grass seeds and fodder crops. Worldwide, copying of protected products is an increasing problem. Also in the potato and grass seed chains this takes place. The participating companies noticed that they do miss a part of their income in Europe because license fees are not always paid and by unlawful trade in (protected) varieties. To give an example: to develop a new potato variety takes 10 years at minimum and costs at least € 3 million. The result is a new variety that has an added value in yield, health or quality. When a new variety is registered and Plant breeders’ Rights are obtained, there is a 30 years´ period of Plant Breeders Rights protection applicable and the owner has the right to ask for a license fee. Through this system the breeders can continue to breed and develop new varieties with better traits. BREEDERS TRUST supports the participating companies when it comes to the implementation and enforcement of their Plant Breeders Rights protection and the illegal trade in plant propagation material. There is a clear vision. Breeders trust will take care that license fees are paid for the multiplication of varieties and that trade takes place within the applicable legislation. This will happen by informing the growers and supply chains concerning the risks of using uncertified seeds and seedpotatoes and informing them about the rules applicable under EU legislation and Plant Breeders Rights protection. Moreover also legal actions will be started up against growers and other players in the market which break the law on purpose. In this way, BREEDERS TRUST contributes to the continuity in the development of new varieties and to a healthy sector in which production and trade takes place in a fair way.